Close your eyes and imagine all your gear, spread out neatly, as if it was being photographed for Outside magazine. Now, filter out the newer items and the items you hardly use. Next, remove the items you hope to replace or gear that only have a few trail days left. Look at what remains. A few well-loved, hard-working pieces of gear. Your equipment carries memories. Each dent, scratch and smudge is like a wrinkle or scar. They show character and experience. Each inconsistency has a story. These pieces of gear can even feel like they have a voice of their own. 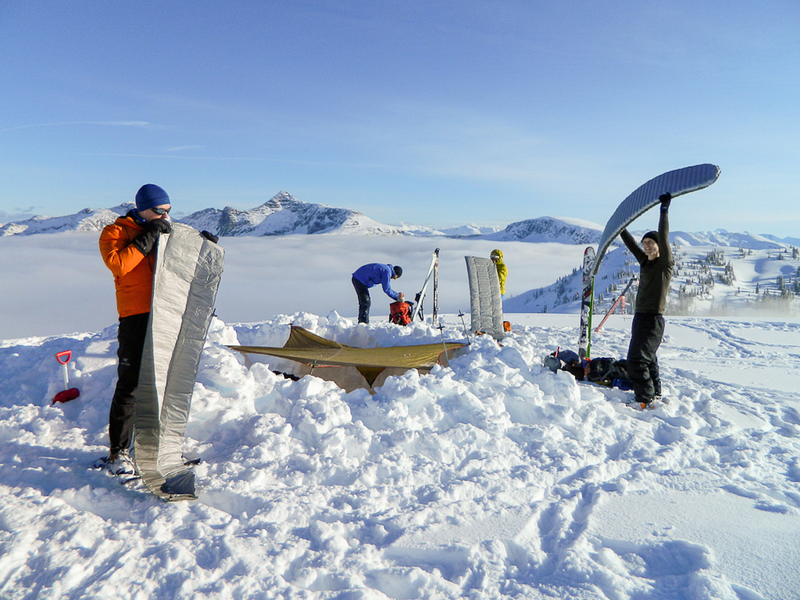 In this edition of Therm-a-Rest Gearshed, Leigh McLurg and his sleeping pad take us down memory lane, letting us in on their relationship, the conversations they shared, and the experiences they endured. The process of getting into camping is different for everyone. Some receive hand-me-downs from friends and relatives. Others purchase new equipment after learning to camp at a young age on family road trips. I became interested in camping around five years ago. This shortly after moving from Ireland to the west coast of Canada. I developed a curiosity for exploring wild places and quickly realized that I would need to learn how to sleep in a tent if I wanted to visit the mountains and alpine lakes I could see on the maps of trails that I spent hours studying. The whole process of figuring out exactly what I needed was incredibly intimidating for a beginner. 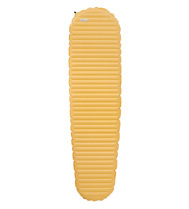 I had no idea about the differences between materials, tent sizes and sleeping bag temperature ratings. Eventually, I visited a local outdoor retailer and enlisted one of the staff to walk with me around the store filling my trolley with everything they thought I would need to go camping. I figured they would know best. Over the years some items wore out, like my first pair of hiking boots and other items I came to no longer need. The more I went camping the more I realized which qualities and features I valued. I bought a smaller tent, a canister stove and a sleeping bag for colder weather. However, there are still a few items from that have been with me for my entire adventure career. I still use the same multi-tool, and I still have a pair of fleece mitts that haven’t worn out, and my NeoAir XTherm sleeping pad is as reliable and comfortable as ever. 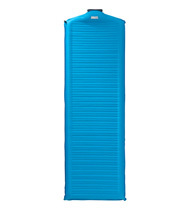 After my first summer of camping, I soon realized that I’d be using my XTherm Sleeping Mattress year-round. It has provided a seat for me when camping out on the cold snow, and been a welcome bed when laying out under the stars through the warm evenings of summer. It’s been a place to lay awake, trying desperately to fall asleep while the challenging and scary objective of the next morning swirled around in my imagination. The mountains have a way of lifting you up and pulling you back down in equal measure and this mattress has been there to witness it all. I’ve often wondered what it might have to say to me now if it could speak. When I first shouldered an overnight backpack and headed out into the wild for my first camping trip, I weighed close to 300lbs. My shoulders quickly became stiff and I frequently had to drop my pack to the ground and catch my breath before passing out. That first trip was only 5km’s long with around 500m’s of uphill, but it may as well have been Everest for how it felt. When I finally got my tent set up, I collapsed inside atop my XTherm. “Oof!” I heard it exclaim under the sudden mass that it was required to carry. However, over time, my body weight continued to drop with repeated exploration into wild mountainous places. I wonder if my XTherm misses the days of working harder to keep my body away from the cold earth below me or if it is glad that its job has gotten easier as I have grown stronger and lighter over the years. On one trip, years ago, it may have advised me that I was in way over my head. I’d hiked up Mount Baker in Washington to a campsite below the summit, joining a few friends on an attempt on the North Ridge route. It required some ice climbing and even though I had only climbed a short pitch of ice before on top rope. I had thrown caution to the wind and been caught up in the excitement exuded from my friends. I laid awake that night inside my tent. It was warm, the kind of warmth that feels wrong when you’re on a glacier, up high on a mountain. The air was still and the snow was soft. My NeoAir was below me as always, holding me up above the cold snow and glacial ice. My pad seemed acutely aware of my unpreparedness and the poor conditions on the mountain. I’m almost sure I could hear it whisper “maybe not today eh? Try it again another time”. We awoke in the dark for an alpine start. Everyone moved in silence, boiling water for coffee, shoving calories into their mouths for breakfast. We roped up and headed out. The skies were dark overhead, concealing the wide crevasses that we passed as we moved upwards in silence. Our worlds became the narrow beam of light shining out from our headlamps. With time, the sun eventually broke above the horizon casting light on the technical section of our route ahead. We climbed until we were directly below it. 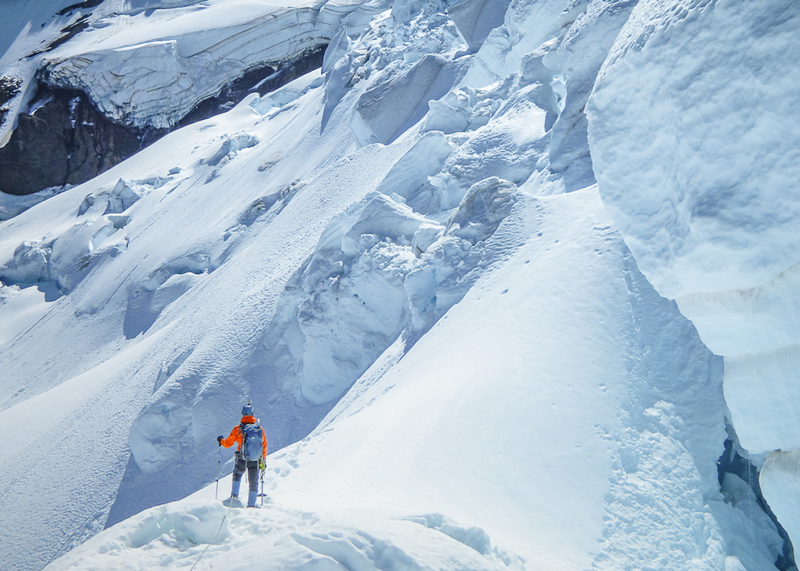 I had all the needed equipment to ascend this route, but I could feel my stomach turn. I wasn’t ready for this. Everyone paused and looked at each other. It felt like summer at the beach, not what we had expected at close 10,000 feet above sea level next to a wall of blue ice. The stronger climbers in our group attempted to climb higher. Metal ice screws that the leader had placed into the soft, warm ice could be simply pulled out without much effort by the second person climbing up on the rope. They only managed to get a few meters up before deciding to down climb, due to the worsening conditions. I felt relieved. My observations had been true, but I should have listened to them earlier. We began our retreat, slowly descending back down the way we came. The enormity of broken ice on the glacier that we had weaved through in the night was now shockingly apparent to us. The heat of the day sapped any reserves of energy we might have had left. 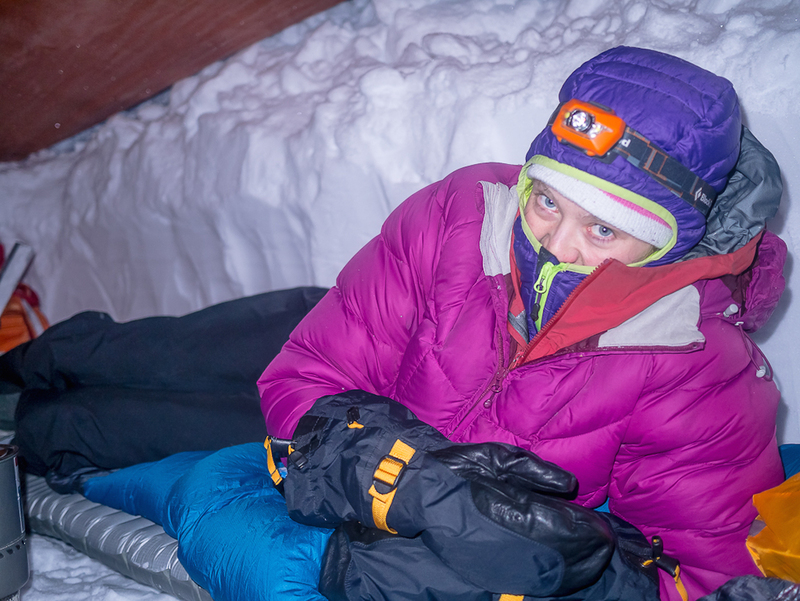 At my tent, I zipped open the door and collapsed like a sack of bricks on my NeoAir, leaving my boots and crampons on as my feet dangled outside. “I know; I know” I said. I could hear my XTherm mutter “Glad you’re ok, but I told you so”. In the mountains, as in life, there are successes, new summits reached, and lessons, not failures. If my NeoAir could actually talk I think it would have the voice of my gut, the instinct one develops through experiences in wild places. 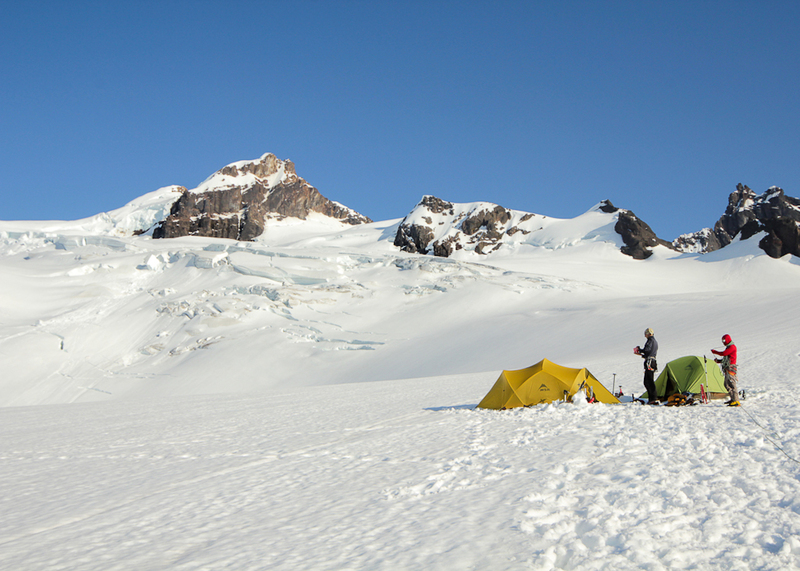 I came away from that trip on Mount Baker with a new perspective about how I should approach these environments. It taught me to not just be excited about being in the mountains, but to be prepared, maybe even over-prepared, for the challenges they pose. 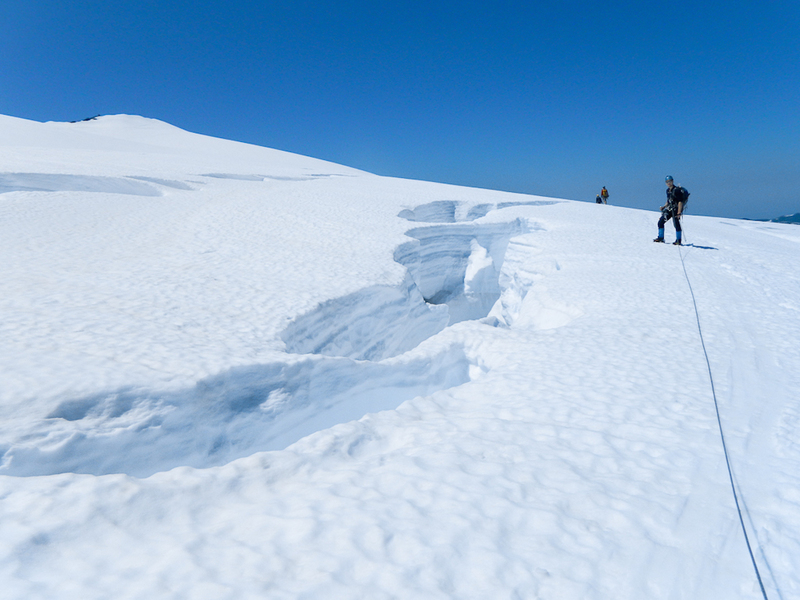 Today, I am capable of climbing much harder ice than what I encountered that day on Mount Baker. When I return to finally climb that route I will not only have motivation to push me onwards, but also confidence in my preparations. 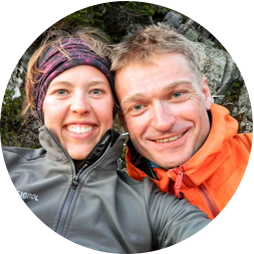 Leigh & Spring McClurg are storytellers, outdoorsy nuts, photographers, happy campers, wanderers and sometimes adrenaline seekers.